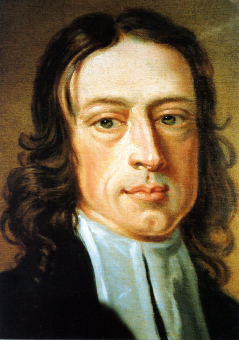 In his “An Earnest Appeal to Men of Reason and Religion,” John Wesley began with a definition of the “better religion” that he sought to introduce to the men and women of England. He summed it up as nothing more or less than love, love of God and love of all humanity. This love we believe to be the medicine of life, the never-failing remedy for all the evils of a disordered world, for all the miseries and vices of men. Here is a statement that I imagine most United Methodists would embrace. Whatever the forces are that pull and tug at us, we would all give a good “Amen” to the conference speaker that said these words. The great challenge, Wesley discovered after many years of seeking this religion for himself, was that we cannot will ourselves to love in this way. No amount of effort on our part can sustain us for more than the briefest moments of true and pure love. We cannot grind our teeth hard enough to find our hearts filled with love, peace, and joy in God. This was the lesson that Wesley learned after so much agony and frustration. The only way to the religion of love is faith. But here again, we must be careful. Faith is not a decision to believe in spite of the evidence. It is not a leap in the dark, not for Wesley. For Wesley, faith has two essential attributes. First, it is a kind of spiritual perception — the conviction of things not seen (Heb. 11:1). Faith is the perception of God and the love of God for us in Jesus Christ. It is the opening of the eyes of heart to a truth we had not seen before (Eph. 1:18). Second, it is a gift of God, not something we do by our own power. We receive faith; we do not decide to have it. It is grace. Does Wesley’s chain of thinking here — love, faith, grace — still ring true as an encapsulation of the heart of Christianity? Is he still relevant or an 18th century museum piece?